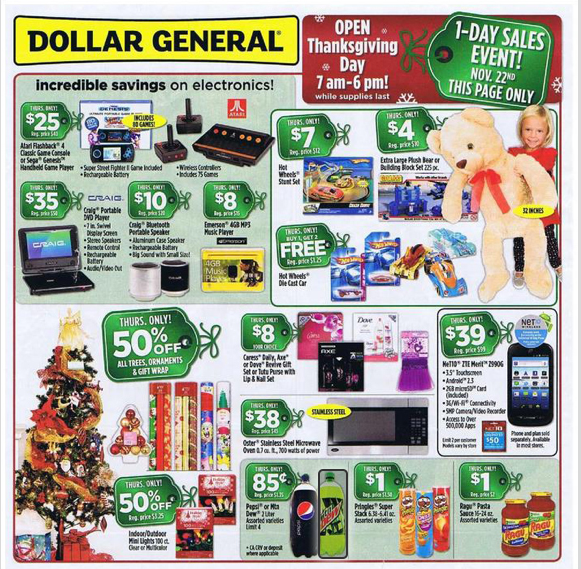 The Kmart Black Friday Ad 2014 has been leaked! 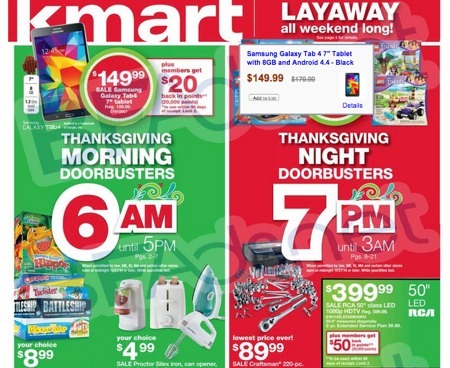 Kmart will be opening on Thanksgiving Day at 6 a.m. through 5 p.m. and then again at 11:00 p.m. on Thanksgiving. 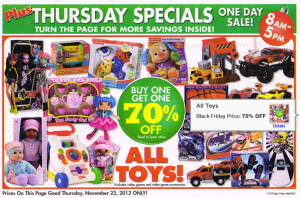 The Toys R Us Black Friday Ad 2012 is available to preview. 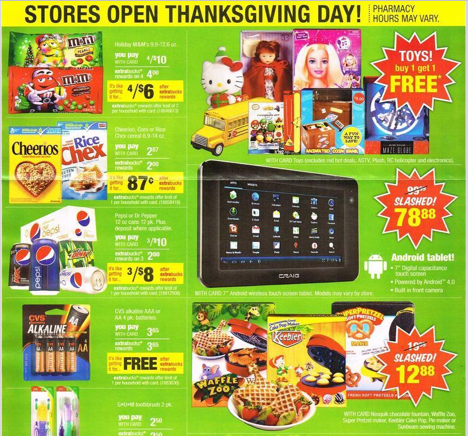 Don’t forget to sign up to receive all of the Black Friday Ads as they are leaked. 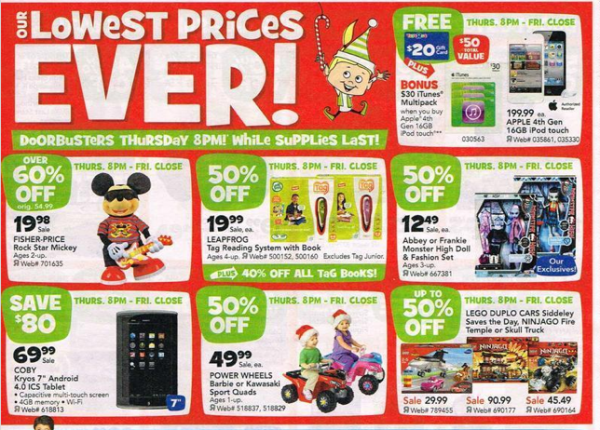 View the complete Toys R Us Black Friday Ad here. 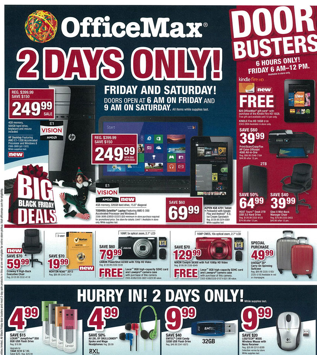 The Office Max Black Friday Ad is available for you to view online. Don’t forget to sign up to receive all of the Black Friday Ads as they are leaked.